How are students advocating for action on climate change? Today’s youths are more worried about climate change than older generations, and more likely to believe that people with power aren’t doing enough to prevent catastrophic, irreversible effects from dramatically altering the world that youth are set to inherit. With 26% of the world’s population under the age of 15, this growing demographic is set to have a powerful effect on our global values. As the window of opportunity to limit the consequences of climate change gets smaller, more and more youth are speaking out and urging leaders to prioritize action on climate change. 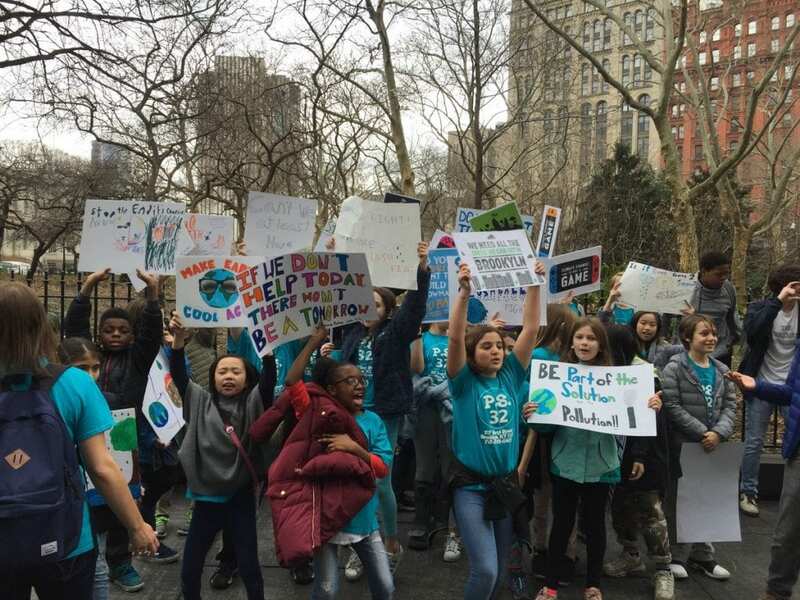 Last Friday in over 100 countries, thousands of students marched to advocate for governments and international bodies to adopt policies that will make meaningful steps toward a sustainable future. Protesters across the world have published platforms advocating for increased funding toward renewable energy, preservation of public lands, protection of water sources, and better education about the causes and consequences of a global temperature increase. The international movement, known as Fridays for Future or Youth Climate Strike, was spearheaded by sixteen-year-old activist Greta Thunberg, who last year began walking out of school each week to protest outside the Swedish Parliament in Stockholm. Thunberg’s frustration with the lack of action she saw inspired her to start with solitary protests, and through social media, an international coalition of student activists has blossomed from her original idea. Organizations like the UK Student Climate Network and Zero Hour are student groups that have formed in response to Thunberg’s call to action. These groups organize weekly protests and provide resources for teen advocates who all share the desire for a sustainable world now and in the years to come. They center on the voices of young people because they are the ones who must live with the long term consequences of unfettered climate change. The opportunities for young people to make a meaningful difference on climate change extend in all directions. In our World of 7 Billion Activism Toolkit, we’ve provided resources for students to not only advocate to their lawmakers, but also to make changes in their schools and communities, use social media to advance a cause, and adjust their day-to-day habits in sustainable ways. Youth’s voices are critical when considering an issue that will disproportionately affect them and their lives. Activism can be an international coordinated protest, a policy change at the local level, or a series of choices that students make every day to make meaningful changes in the world around them.